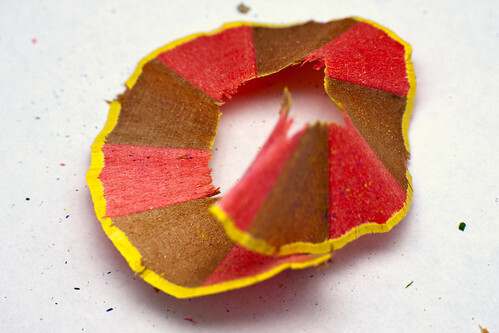 Two color pencil shaving foil made from wood and taking a spiraling shape as a result of the sharpening. The pencil appeared to have been made by brown and pink wooden sticks and a yellow pigment stick and coating. Around it there is small debris.